More Stories coming, so be sure to sign up for updates and visit again soon! This is part of a series of articles on the history of the Tritt property. The Tritt property is now 53.7 acres, but it was once 80 acres, all of Land Lots 965 and 966 in the 16th District of Cobb County. When Norris Tritt, the late husband of the current owner, Wylene Tritt, inherited the land in 1948 from his aunt, Odessa Tritt Lassiter, it was still 80 acres. By 1965, the Tritts had sold all the land west of Sewell Mill Creek (called Little Williow [Willeo] Creek in the 1869 map, above). Norris sold some of his land to the Bowles family, who in turn sold their land to the Friends for East Cobb Park in 2001; this was the first 13 acres of the park. Today, almost all of the land west of the creek that was sold by the Tritts is part of East Cobb Park, except for a 1.5 acre parcel that is part of Fullers Park, and a 6 acre parcel which was developed into the Manor Oaks subdivision. So, of the 80 acres inherited by Norris Tritt in 1948, only 6 acres have ever been substantially developed. That leaves 74 acres! We hope to see the Tritt land remain undeveloped, as park or green space! The history of the Tritt land goes back much further. In 1832, Georgia held the Gold Lottery, to give away several thousand parcels of 40 acres each. The Cherokees had recently been forced from the area (the Trail of Tears), and there was the belief that much of their former land had gold, including the present area of East Cobb. There was so much demand for the gold land, that the state divided the area into 40 acre parcels (called Land Lots), rather than the usual 160 acre parcels. The Land Lot system is still used today to describe land in Cobb County. In 1832 Cobb County was formed from the former Cherokee land. We know from available tax lists that Jackson Delk (1814-1897) owned the land by at least 1864. Odessa Tritt married Henry Lassiter, and they had one son together in 1901. Tragically their son John died while just an infant. A few years later, Henry Lassiter passed away from illness in 1905. Odessa never remarried, and in her will, she gave her properties to her nephews, Norris Tritt and his brother James Tritt. Norris Tritt received from his Aunt Odessa's the 80 acres on Roswell Road, which is the now called the Tritt property located next to East Cobb Park. Interesting to note, the original 80 acres willed to Norris included all of East Cobb Park! The Tritts sold that land to the Bowles who sold the land to Cobb County as a park. Wylene Tritt spoke at the East Cobb Park dedication in 2003 about how special the other part of her property would be for this community. The Bridge at East Cobb Park was named in Norris Tritt's honor in 2005 after Wylene donated a portion of her property to connect East Cobb Park and Fullers Park. Odessa's nephew James Tritt, father of country music singer Travis Tritt, inherited land from Odessa in other areas in Cobb County. 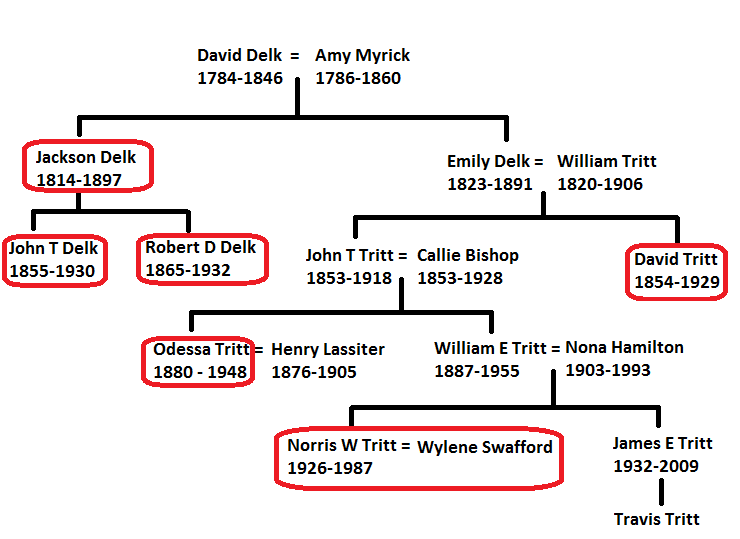 Many of the families that shaped East Cobb are involved in the Tritt property next to East Cobb Park: Delks, the Dickersons, the Lassiters, the Sewells, and the Tritts. East Cobb schools and roads have been named in honor of these families, and the families are interconnected by marriage. The August 2012 edition of Around Walton magazine had a good story on Mrs. Wylene Tritt (p.56). We all appreciate how Mrs. Tritt has cared for the land over the years. The land is bounded on the west by Sewell Mill Creek, which makes a nearly 90 degree curve west before turning south again. The land is in two parcels, the first more-or-less rectangular, and containing about 40 acres where Mrs. Tritt's house sits, and the other shaped like a backwards capital "L", bounded by the creek. 7 acres of the land lies in the flood plain. There are two smaller creeks that run across the land into Sewell Mill Creek. The first is visible from Roswell Rd, and has been lined with stones. There is a larger creek arising in the Hidden Hollow subdivision to the south of the Tritt property, and flowing through the woods into Sewell Mill Creek near the back of East Cobb Park. There is also a permanent easement to connect East Cobb and Fullers Park - when you cross the bridge at East Cobb Park, and follow the trail to Fullers Park, you are on Mrs. Tritt's land for a couple hundred feet. The adjoining properties are, going counter-clockwise, East Cobb Park, Fullers Park, Hidden Hollow subdivision, Robinson Walk subdivision, Wyntergreen subdivision, and Glenside subdivision. Across Roswell Rd, there are some low-rise office buildings, a day care on the corner of Providence Rd., and the Wellstar development. In 2006, and again in 2008, Cobb County voters approved a $40 million park bond to allow the county to borrow money and buy park land. You can read about it here. In both rounds, a handful of properties in the county were considered "top tier" land that the county should try to acquire, and the Tritt property was one of these top tier properties in both rounds. 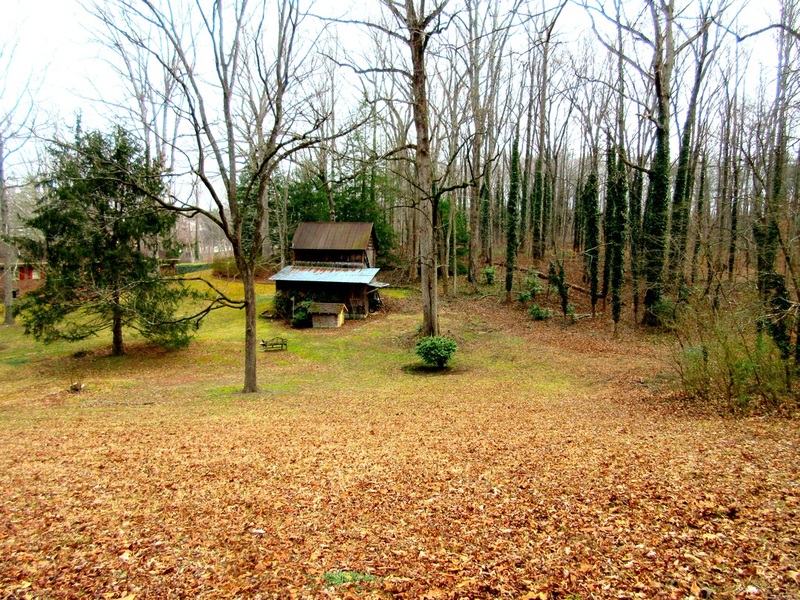 Unfortunately, it was the only top tier property that was not purchased by the county in both rounds. In 2008, Cobb County voters approved a $40 million park bond to allow the county to borrow money and buy park land. However, no park land was purchased from the 2008 Park Bond and no money was ever borrowed by Cobb County.